Based on 3487 customer ratings. If you’re looking for an authentic Chicago-style PIZZA DELIVERY NEAR DISNEY, then look no further than Giordano’s in Kissimmee! Known for their deep dish stuffed pizza, Giordano’s is the place to go for a truly delicious experience. Start your meal off right with an appetizer, like an order of our famous chicken wings. Then indulge in one of our mouth-watering slices of famous deep dish stuffed pizza. Your family will thank you once they experience the authentic flavor and taste of original Chicago pizza, right here in Kissimmee, FL! Tired from a long day and don’t feel like eating out tonight? No problem! Giordano’s is voted the #1 choice in DISNEY PIZZA DELIVERY. 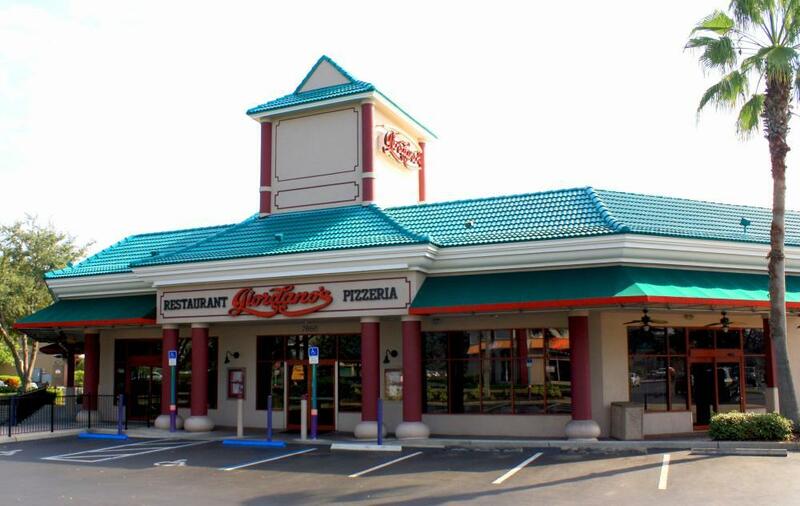 We are located just one mile from the gate, so your pizza will arrive right from our ovens to your family in no time. We are even open late, so you don’t have to leave your seat to experience the best Florida has to offer. Just give us a call, and we will hand-deliver our amazing pizza, appetizers, sandwiches and Italian specialties right to your door! DON'T FORGET TO ASK ABOUT GLUTEN-FREE OPTIONS! THIS LOCATION IS CONVENIENT TO: Holiday Villas, Florida Sun Vacation Homes, Continental Plaza Hotel Kissimmee, Maingate Lakeside Resort, The World Gate Resort Hotel & Conference Center , Mystic Dunes Resort & Golf Club, Westgate Town Center, Westgate Villas, Westgate Towers. NOTE: This location has a full menu, including beer, wine and a full bar.